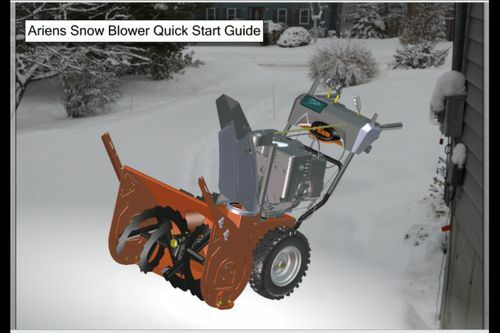 This is a video quick start guide for an Ariens Snow Blower that was created in SolidWorks Composer. It shows all the steps needed to start and operate a snow blower. As opposed to trying to explain how to use a product with words, a video can show and tell you what you need to do to get a product up and running. This is a quick and efficient way to learn how to use a product. When a product changes the model and video can be easily updated without having to recreate the entire video. Enjoy!